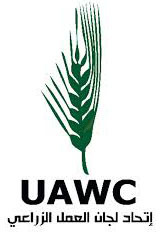 The Health Work Committees condemns the serious violations of human rights by the Israeli occupation forces and the violations of international humanitarian law, including those related to war crimes as a result of the military escalation against unarmed civilians in the besieged Gaza Strip and the rest of the Occupied Palestinian Territory. The escalation of the violent response to the peaceful demonstrations which did not constitute imminent danger to life during the return marches, which accompanied the move of the US Embassy to the occupied Palestinian city of Jerusalem on May the 14th and the Nakba Day on the 15th May. The latest figures issued by the Ministry of Health indicate that 62 Palestinians were killed (including 8 children, one of which is an 8-month-old infant), and 2,768 were injured by the Israeli occupation forces only for the duration of 2 days (14th to 15th May). Of the 2,768 injuries, 1767 required immediate transfer to hospitals and NGO clinics (including 224 children, 86 females and 1672 males). Of patients that reached the hospitals, 127 were at high risk, 1,294 had medium-risk injuries and 336 had minor injuries. Since the start of peaceful demonstrations in the Gaza Strip on 30th March, data from the World Health Organization (WHO) indicate that an increasing number of attacks on health facilities and health workers have taken place. 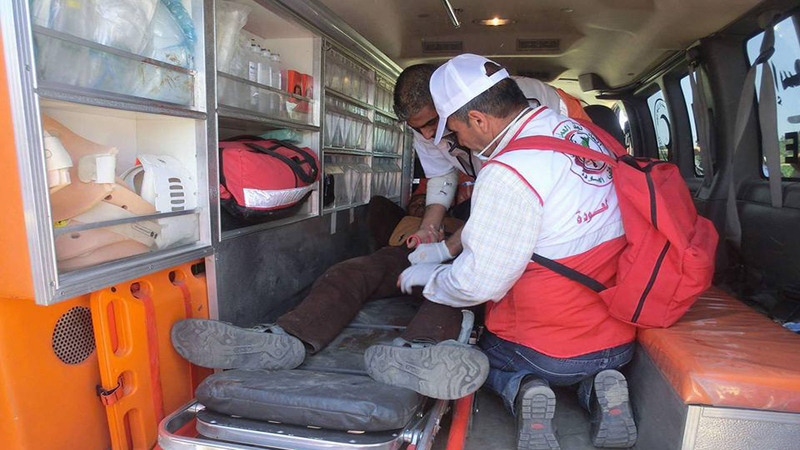 Till the 13th of May, there were 211 attacks against health workers in the Gaza Strip, during the mass peaceful demonstrations on the separation fence, 9 paramedics were injured, 13 wounded with tear gas canisters and 189 inhaled tear gas. Twenty-five ambulances were also damaged. According to a statement issued by the Palestinian Civil Defense website in the Gaza Strip, the Israeli occupation forces, through their snipers, killed Musa Abu Jaber al-Hassanein, aged 36, while carrying out his duty of evacuating wounded and injured. This criminal act constitutes as a great violation of international humanitarian law, in particular the agreements of the Geneva Conventions of 1949 and the obligations applicable under the protocols’ annexes of 1977 and 2005 to those conventions relating to the protection of civilians, medical personnel and humanitarian workers. The Health Work Committees deplores the official international silence and the failure of the Security Council at its emergency meeting on the 15th of May to take the necessary steps to provide protection to civilians and health workers and to pressure the Israeli occupation Government to comply with Security Council resolution 2286, which calls for the protection of civilians, the wounded, the sick, medical personnel and humanitarian assistance, as well as the need to end the impunity of officials in the Israeli occupation government and its army commanders and ensure accountability. HWC also reiterates its call on the international community and humanitarian organizations to intervene immediately to protect civilians and health and humanitarian workers. It also calls for immediate intervention to pressure the Israeli government to lift the 11-year-old siege on the Gaza Strip, where the sector is still witnessing a marked deterioration in living standards and high rates of unemployment, as well as the acute shortage of medical supplies, medicines, sanitation, treatment and rehabilitation. It also calls on international organizations and United Nations bodies to work towards an independent investigation into the serious violations of human rights in the Gaza Strip and to hold the occupying state accountable for these violations against civilians and health and humanitarian workers.